Anyone who knows me is well aware that while I love film, television and music – I am really passionate about food. Cooking it, eating it, taking dodgy photographs of it. 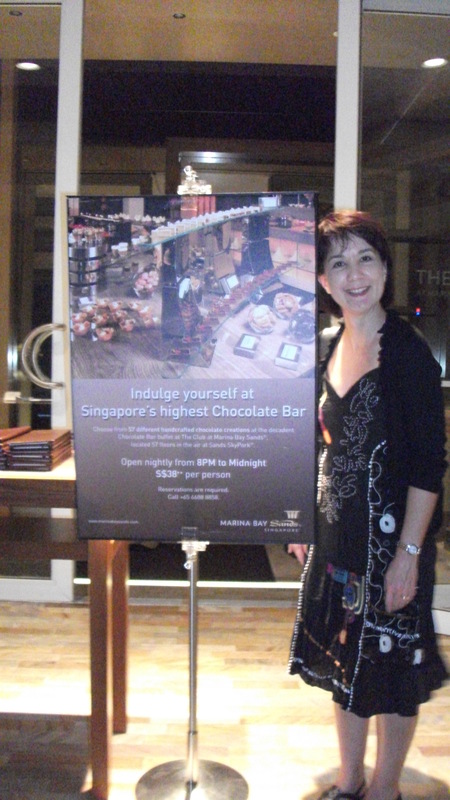 Last week in Singapore I visited The Club on the 57th floor of the Marina Bay Sands Hotel. The Sky Park has a commanding view of Singapore city from one side and the harbour from the other. If you’re a guest of the hotel and not afraid of heights you can even swim in the infinity pool. Non guests such as my friends and I can pay $38++ (everything in Singapore is plus plus for GST and service charges) each evening after 8pm to indulge in the chocolate buffet. I will pad out this post at a later date but for now here are some photos of the 57 types of chocolate decadence on offer. I reckon I managed about 20 – and didn’t vomit (though we did all need to walk back to our hotel). 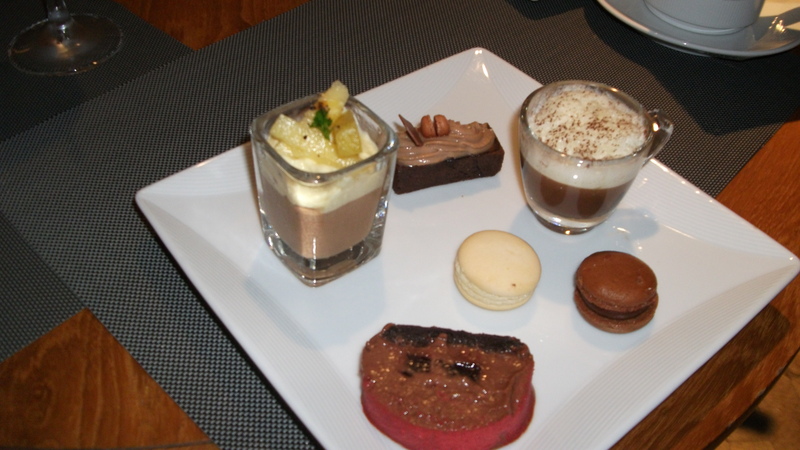 Some of the dishes I tried included churros, chocolate pudding, individual baked chocolate fondant, profiteroles, cheesecake lollipop, white chocolate pannacotta, 67 per cent chocolate ganache truffle…and of course, macarons. 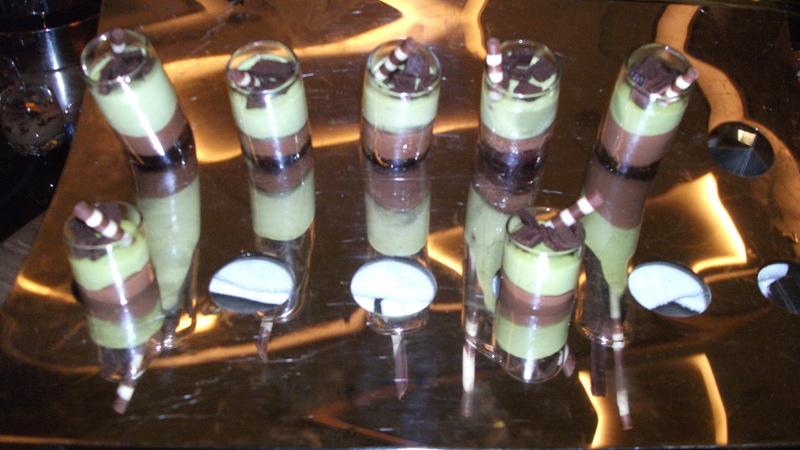 I think this was my second plate, though I could be wrong…as eating only dishes derived from chocolate for dinner is bound to alter your brain function in some way. oh my a chocolate buffet? Looks delicious…good work to fit in 20 desserts! !